Fact: it has never been a better time to buy earphones. The ever increasing demand fueled by the ever increasing propagation of smartphones, tablets, and other such devices has created an absolute plethora of options for all conceivable uses and specialities. Although, admittedly, this can make it a little daunting to make the jump from the safe, familiar, and generally sub-par experience provided by your stock earbuds into the wide world of options to choose from, we’re here to help. Whatever your needs, you can be pretty certain there’s something out there that will be a perfect fit for you. A truly beautiful design, right down to the packaging and carry case. Eminently customizable with nine eartips in two different materials. Full-featured, three-button remote and mic combo. Not amazing for calls, but few are. There are earbuds which offer a compromise of features and there are those which appear to be stellar across the board. 1MORE Triple Driver In-Ear Headphones belong to the later group. You’re looking at a package which combines a great style, even better design and a unique setup of drivers. Where most try to excel at one aspect of performance, 1MORE went for it all. With triple the amount of drivers compared to most of their competition, you would expect these to be quite brutish. However that is furthest from the truth. 1MORE has balanced out the performance and raw power of these earbuds in a way which makes them very easy to use but also quite impressive no matter which genre of music you like the most. Sound quality is excellent across all kinds of genres. A lack of remote and mic will be a turnoff for some. The fit can be awkward at times. Simplicity isn’t always a sign of bad performance. As a matter of fact, sometimes it is quite the opposite. Shure SE425 represent a very interesting take on this theory. They have used what is essentially a very plain design with very little aesthetic qualities and paired it with a great set of hardware. On top of that, we also have a sensible set of features. All in all the end result is pretty interesting. The performance is great to say the least with plenty of clarity, power and saturation in the sound. Same cane be said about the built in microphone. It actually allows you to have a conversation even in somewhat noisy environments. At this price, there really aren’t too many other choices out there which can compete. The secure loop system. It’s personal taste, but it works for us. Nothing special to look at; minimal design upgrade from the previous model. 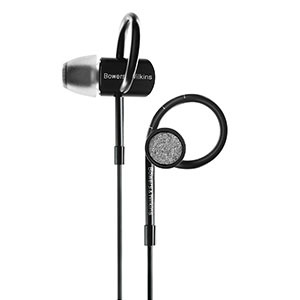 When it comes to interesting designs, it is hard to beat Bowers & Wilkins C5 S2 In Ear Headphones. If most other brands are on the same page when it comes to retention methods, driver enclosure sand the rest, Bowers & Wilkins are on the very fringe of that page. As it turns out this isn’t necessarily a bad thing. All you need is an open mind. C5 S2 pack a great performance that pretty much compensates for whatever flaws you could find. We haven’t been able to find many. As a matter of fact, aside from the design which takes some getting used to, these earbuds have proven to be quite an impressive little package. As such they are definitely worth your time, especially at this price. They’re about as good-looking as it gets, if that’s your thing. A comfortable, secure fit with a design that feels robust. The bass can be overpowering in non-pop genres. You’re paying a premium for the brand name. Beats By Dre have become somewhat of a standard when it comes to consumer grade headphones. Considering their immediate success, it was only a matter of time before a similar concept was introduced to the earbuds segment of the market. urBeats Wired In-Ear Headphones bring a lot of what made the original beats great, in a much smaller format. Once again, these are on point. 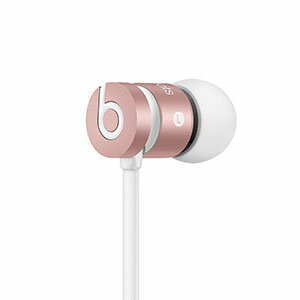 Much like it is the case with the original Beats, urBeats are essentially offering plenty of low end performance in a very simple chassis. It is also pretty smart that they went with a wired setup considering that doing otherwise would most likely bump these into an unfavorable price range. The way things are at the moment, we are presented with a very good setup. Active noise cancellation that really works. Being able to adjust the ANC from the remote is great. Sound quality is fine, but never sparkles. If there’s one name in this business you can trust to introduce a bunch of awesome features, it has got to be Bose. Their QuiteControl 30 wireless headphones are interesting to say the least. The design itself is nothing new nor exciting. As a matter of fact rigid necklace type control clusters were never really all that hot. However that’s not what makes these great. 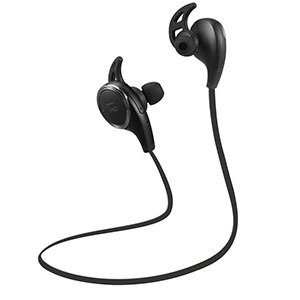 That would be the built in noise canceling technologies, advanced wireless pairing and a very impressive battery package which will keep these earbuds running for up to 10 hours. What make the whole noise canceling side of the story so interesting is the fact that you can adjust how much outside noise pollution gets through. That’s a feature you won’t see too often. Good battery life, although no improvement over the X2s. The app is a nice addition and allows a good deal of customization. They don’t look fantastic, and JayBird hasn’t changed much since the X2s. Audio quality could be better. When it comes to lightweight wireless earbuds which are streamlined for optimal performance, JayBird is one of the brands that really keeps pushing the limits. JayBird X3 is the latest iteration of a very successful lineup which packs plenty of power and is now better than ever. The overall design ensures great comfort and retention which makes these suitable for a variety of applications. Whether you are a runner, a cyclist or just someone who wants a very stealthy set of wireless earbuds, JayBird X3 are about as good as it gets. Even though X3 can’t really be categorized as affordable, it is really hard to find a model that is capable of competing with these at this particular price. Because of that, JayBird X3 are quite popular. The price. It’s really, really low for wireless headphones. Buttons on the casing are awkwardly placed. Lack of water- and sweat-resistance. TaoTronics have become popular thanks to their highly functional wireless models. TT-BH06 is one such set that defines the bang for the buck attitude this brand has. Being among the most affordable earbuds of its type, TT-BH06 also offers a performance that is quite impressive for its weight class. Needless to say TaoTronics have used proven design solutions, thus ensuring a good level of comfort. The whole package is very lightweight making it a great choice for those who are leading a more active lifestyle. Speaking of which, retention tends to be the next most important factor aside from raw performance. Thanks to their ergonomic hook design, you are guaranteed a positive grip even during more aggressive physical activities. Last but not least, the battery life is great. The drivers are solid, and audio performance is decent across the board. The cable is durable and replaceable. They don’t look great, and are bulky to wear. A lack of remote/mic or any other features is a shame. 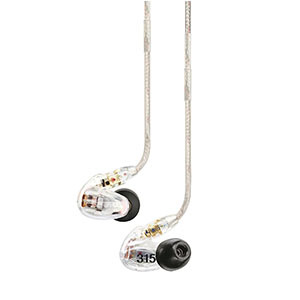 Shure’s SE215-K are modular but also simple at the same time. 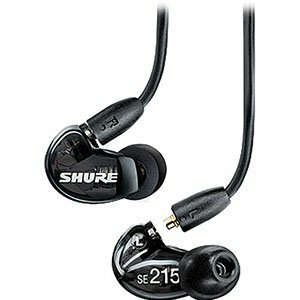 It is no secret that these are somewhat old school compared to most modern solutions, however Shure has targeted a very niche audience with these. Couple of features that might hint who this audience is can be found in the triple ribbed earpieces. Everything about these is optimized for retention. It just so happens that those features are exactly what you would want from a set of earbuds if you are a runner, a cyclist or even a motorcycle rider. Both the design and performance of Shure SE215-K are great. At this price, they are up against some pretty heavy competition but these are holding their ground with plenty of success. A really nice, minimalistic design. Wireless charging is a step in the right direction for many. The sound quality simply doesn’t warrant the price-tag. 5 hours is a frustratingly low battery life. 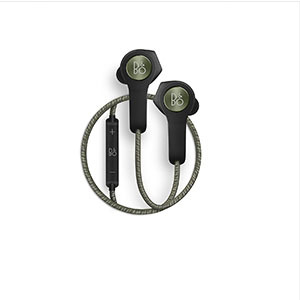 Much like other premier brands in the industry, Bang & Olufsen also present in the earbuds market. That comes as no surprise. What does come as a surprise is the fact that they have opted to go with an almost too simple of a model. Anyone who is familiar with B&O usual modus operandi might be take aback. However there’s a good reason. B&O have definitely wanted to enter the wireless earbuds market with a certain level of uniqueness. Their H5 wireless earbuds are easily one of the most basic looking things out there. They also happen to be one of the absolute best solutions for those who are tired of having a cable running down their side. From comfort to performance, H5 offers it all. A replaceable cable is a nice idea. Making the remote/mic cable a separate product is pretty bad. Audio quality disappoints given the lack of anything else on offer. One of Shure’s main policies is that functionality and reliability will not be compromised no matter what. That is why we see models such as the Shure SE315 rocking such an awesome performance yet featuring a design that many would call obsolete. When function over form is more than just a saying for you, it becomes easy to appreciate gear such as this. Shure has sweetened the deal by introducing a detachable cable design which allows you to alternate between a microphone, a remote or just a straight up cable with no busy controls at all. There’s also a Kevlar version of the cable available for those who ride. Then we have the rugged hardware, beastly drivers and more. Overall, these are an acquired taste but incredibly effective. If you’re new to the world of portable in-ear headphones, this is a great place to start. Purists will tell you that you can’t get anything worth bothering with at this price range, but that couldn’t be further from the truth. In fact, as brands increasingly recognize the need to provide products which compete with ‘free’ (or at least ‘included with a device’) earbuds the lower-end offerings have only improved in quality over the last couple of years. This is a perfect price point at which to get a feel for what’s on offer, to start understanding the kinds of features or form factors which suit you best, and to dip your toes into the market. If you’re looking to spend ~$50 on a pair, chances are you are looking for some kind of upgrade from your stock earbuds. That comes in a couple of different flavors: it could be that you want a more specialized design to accompany you at the gym; it could be that you want a better all around audio experience; or it could be something else entirely. No matter the priority, this is the point at which minor divergences begin to take place between what’s on offer. It’s imperative, then, to do your research and to make sure that your new earbuds work for you. At this price point, you start to be able to make serious, meaningful decisions about the nature of the audio experience you’re looking for. Although you are not likely to end up with a sound quality to rival a comparably good ~$200 pair of earphones, the ~$100 point is pretty much the price at which you can most clearly hear the difference in audio quality between what you’ll end up with and models that are even just, say, $20 cheaper. Put it this way: you can get a lot of bang for your buck. The watchword for this price point is ‘specialization’. If the previous level was about finding the kind of sound signature and audio customization options which best suit your needs, then this one is all about continuing that thought to its natural conclusion. You’ll find a wide range of options with regards to look, fit, and extra features, and even be able to branch out into specific applications which may suit you down to the ground. There are a couple of major considerations which one should keep in mind when browsing the market for a wireless pair. Battery life is a big one. You could have the best earbuds in the world, but if they’re dead within five minutes that would be quite a shame. After that, you’re going to want to maximize audio quality. The listening experience is never going to rival a wired competitor, but you’re paying for the specific functionality and convenience of, you know, the lack of wires. Keep that in mind, and you’ll come out on top. Earbuds are the ideal piece of audio kit for a runner or basically any other kind of athlete / gym enthusiast. The concept of a lightweight, portable, and handsfree form factor has been taken pretty much to its logical extreme by some of the sports-centric models on offer. You will also want to consider easily overlook features like water- and sweat-resistance, the kind of eartips included to promote a secure fit, and, of course, a listening experience that works on the move. 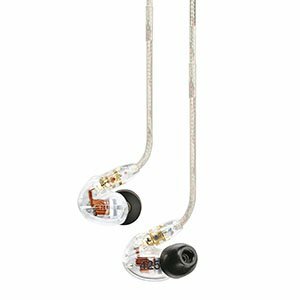 What Makes a Good Pair of In-Ear Headphones? Finding the perfect set is a little like finding the perfect length of string: it depends in no small part on individual preference and the role you want them to fill in your life. 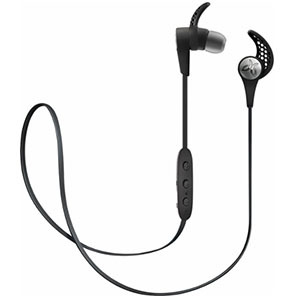 If you’re a runner or need earphones which will regularly be accompanying you on visits to the gym, you will likely want to look at specialist sports headphones. If you’re into EDM, you may want to look for a sound signature that favors a deep, rich, and punchy bass response. You get the idea. A good pair is whichever best instantiates the particular qualities which you are looking for. And don’t let anyone tell you otherwise. Versatility is abundant across the earbud market in a way that it just isn’t in other kinds of audio equipment. Because the portability and hands-free, hands-off nature of their performance has such obvious mass appeal, finding a good pair of earbuds means wading through a whole sea of options in order to find a pair which best fit your particular requirements and use case. For that reason, it’s imperative to work out in advance what kinds of features or qualities you’re looking for. If you’re a runner, consider wireless. If you’re going to be taking a lot of calls while on the move, don’t settle for a model without an inline remote and integrated microphone. If you’re big into dance music, make sure you get your hands on a pair to test the bass response in advance. You get the idea: with this many options on offer, you should be sure to do your homework before diving in and going through with a purchase. It can seem daunting, but plenty of help is on hand. We are so used to earbuds just being earbuds that most of us forget that these things are made to serve different purposes. This attitude probably draws its roots from back in the day when all we really had were simple wired earbuds. However, the situation is more than changed these days. As a matter of fact understanding the difference between various niche earbuds can really help you find the best bang for your buck. That is if you know what you need your earbuds to do. Lets take a look at some of the most popular applications. Casual earbuds are what we simply know as earbuds. With these you aren’t really bogged down by any specific aspect or factor of their design. With that said it isn’t unusual for people to even choose style over performance as counter intuitive as that may sound. Good thing is that there is a huge market servicing general purpose earbuds. Not only will you find an abundance of models to choose from but you will also find some pretty affordable models that pack a good enough punch. Office environments and earbuds generally don’t go together unless you are working in a more relaxed company. For those who are still stuck in the corporate world, finding a suitable set of earbuds can prove to be quite tricky. Even so, there are a number of great models out there which facilitate the required look and performance. What generally defines business oriented earbuds is their appearance. 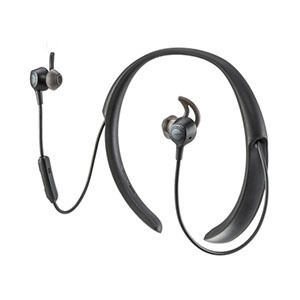 If you think about it, gunmetal Bluetooth earpieces are dime a dozen in any corporate building. Following that logic, most earbuds manufacturers simply copied this aesthetic and incorporated it into their earbuds lineup. The end result is a package that looks very professional but also carries the necessary performance to satisfy both the need of communication and media consumption. One thing worth mentioning about these type of earbuds is that they are almost exclusively wireless in nature. Whether or not that is an issue for you comes down to your taste but them being wireless does impact their price. Here is where we step into a more complicated waters. Earbuds designed for outdoor use, fitness, running, cycling and other activities are judged by a whole different set of standards compared to our previous two categories. If you think about it, it only makes sense. Finding a good set of earbuds in this category is definitely going to depend on what you need them to do and how you intend to use them. As a matter of fact, knowing the answer to these questions is imperative and here is why. If you are into cycling and you need a good pair of earbuds, chances are that you can get the job done with a good wired set. Retention, although important, isn’t really too much of a factor as long as you are within the average for the whole category. However, lets say you are into running. The difference between these two activities is pretty sizable from the earbuds selection point of view. While there is very little vertical motion in cycling, there is plenty of it in running. Because of that retention is among the, if not the most important factor to look for. We generally recommend a good set of wireless but linked earbuds for this application. That format delivers the best bang for the buck, reduces fatigue and is generally user friendly. Most earbuds share the exact same set of features. In no specific order, you will see two drivers, a built in microphone and a set of phone controls. What you need to know is that some earbuds come with a lot more than that. Depending on what your needs and tastes are, it might be a viable for you to look into some of these features. So, what is it that we are talking about? Lets find out. Being so tiny, earbuds leave very little room for improvement when it comes to driver’s design or layout. Even so, certain brands have found innovative ways to get ahead of the herd. You will see earbuds which are packing not two, but up to four drivers. The most obvious benefit of such a hardware boost is the range as well as saturation. If you are a fan of a good sound, these might be the closest you can get to a full sized set of headphones. We have already discussed various applications and niche designs. With that in mind, it is only expected that some of these come with an IP rating, or to be more specific, an IPX rating. For those who don’t know, IP rating determines whether the device is particle and water proof and under which set of circumstances. 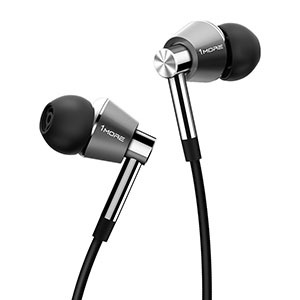 It isn’t unusual to find earbuds which are IPX4 to IPX7 compliant. In other words these are sweat proof at the very least, water resistant at best. Does that mean that you can go swimming with them? Sure, if the model is rated for that type of use. Last but not least we would like to mention active noise cancellation. This is one of those features which are pretty niche. Almost all earbuds are capable of reducing the impact of outside noise to your listening experience. However, when you find yourself in an environment which is just drowned in noise pollution it tend to be quite hard to even hear what’s playing over your earbuds. This is where active noise cancellation really makes a difference. If you work in a very noisy environment, investing in a set of earbuds that feature this technology could make your day much better. Not to mention that some of these can probably replace your prescribed safety gear. As always make sure to check that with your local OSHA rules and regulations. All things considered, the best and most obvious starting point from which to approach the problem of deciding which earphones you should purchase is fairly simple: work out your budget, and go from there. Unlike a lot of consumer electronics and related products, earbuds are far from a ‘the more you spend, the better they will be’ proposition. Because ‘better’ is such a relative term, and because audio is such a personal experience, you can often find that there is something that will do the job for you in whatever your budget happens to be if you are willing to put in the time to find it. By way of example, consider that a lot of the ‘mainstream’ earbud offerings at the moment—the flagship models by well known brands which are trying to attract a broad consumer base—prioritize a heavy bass response in order to highlight the current pop music trend towards being #AllAboutThatBass. If that doesn’t interest you, you may well find that you won’t need to spend nearly as much money as you would have by looking into the less popular models on offer. Ultimately, it comes down to finding the balance that works best for you between the two broad matters of audio quality / overall listening experience and feature set. If you absolutely can’t live without, say, wireless charging, you will, of course, have to make significant trade offs to audio quality. If you want the best of the best audio performance on offer, you can expect to either a) have to live without much at all in the way of additional features or b) have to shell out a lot of money to achieve it. Like many things in life, it’s all about striking into that happy, middle ground solution which best combines your needs and requirements without having to sacrifice too much to make it a one trick solution. Put in the time, do the research, and try to get hands on with as many different potential purchases as you can before buying. Most big stores will allow you to playtest many of the earbuds they have on offer before you purchase, so take advantage of this to ensure that the sound quality promises on paper live up to their real world execution. Audio is an intensely personal, subjective experience, and you should not have to compromise on your particular likes and dislikes just because some reviewer says that a certain model does or does not perform well. Trust your own judgement, believe in the power of your own ears to tell you what you do and don’t like, and you’ll be absolutely fine. It has, quite genuinely, never been a better time to jump aboard the earbud market. With a plethora of highly affordable, entry level options to choose from, there’s just no excuse not to ditch your stock earbuds and stride boldly, bravely into the whole new world of performance and audio quality that you can expect to find on the other side of your purchase. We wish you all the luck in the world.